Imagine having to convince a stranger, in a matter of seconds, that you have something they should buy. That’s what e-shop owners need to do everyday, multiple times a day, to make a living. Convincing a person that you’ve never met to purchase an item from your ecommerce site is an art. There are dozens of things to consider when developing an e-shop, from the very first step of attracting people, to all the intricate moments that convince a person it is safe and valuable to move forward in the buying process. 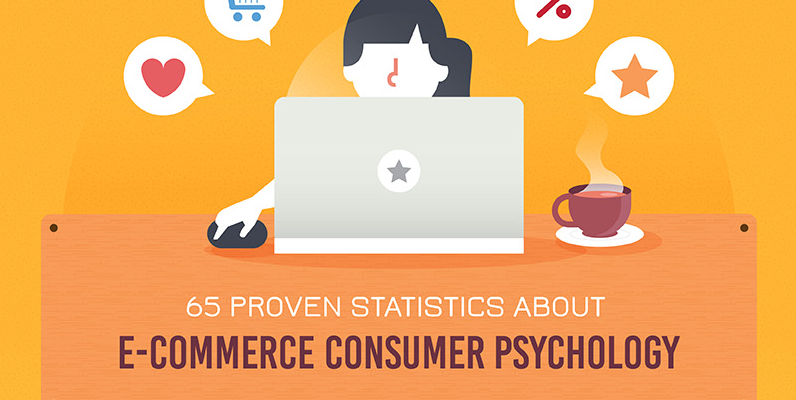 In this infographic, presented by Bargain Fox, we share more than 65 proven stats relating to consumer psychology and what distinguishes a person who buys your products from a person who doesn’t. To help you digest this tsunami of information, we’ve broken it down into 21 action items, or things you can do to improve your chances of making a sale online. These actions range from polishing website design to encouraging customers to review. Once you’re through these 21 steps, you’ll be better equipped than ever to understand your consumer and offer them what they really want. So let’s jump to it! Even if you are the only vendor in the world to sell holograph game consoles, 93% of consumers consider visual appearance to be the key deciding factor when deciding if they should buy from you. Whether or not you offer high end products or exclusive merchandise, people won’t buy from your site unless they trust your brand. 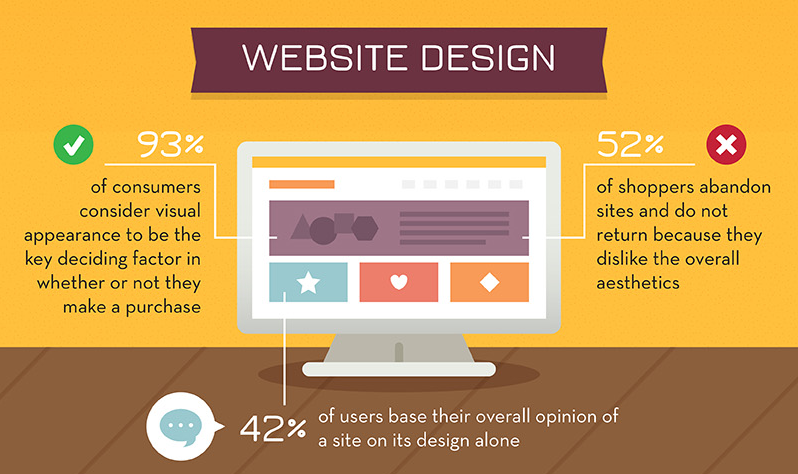 In a study conducted by Stanford University credibility experts found that 46.1% of all consumers judge the credibility of a site based on its appearance, meaning consumers needed a good overall design appeal to trust a site enough to buy something. Coupled with the fact that it only takes 2.6 seconds for a user’s eyes to land on that area of a website that most influences their first impression, you need to make it obvious what you want your user to do – buy. If you don’t make it clear and enticing for the visitor, 52% will leave with no intention of coming back! Why should someone buy your handbag instead of your competitor’s? They can read the description of your product, but that is less appealing for visual learners, which accounts for 65% of us. If you only have a few seconds to capture their attention and make a good impression, videos can be the best way to convey your message in an interesting and digestible way. 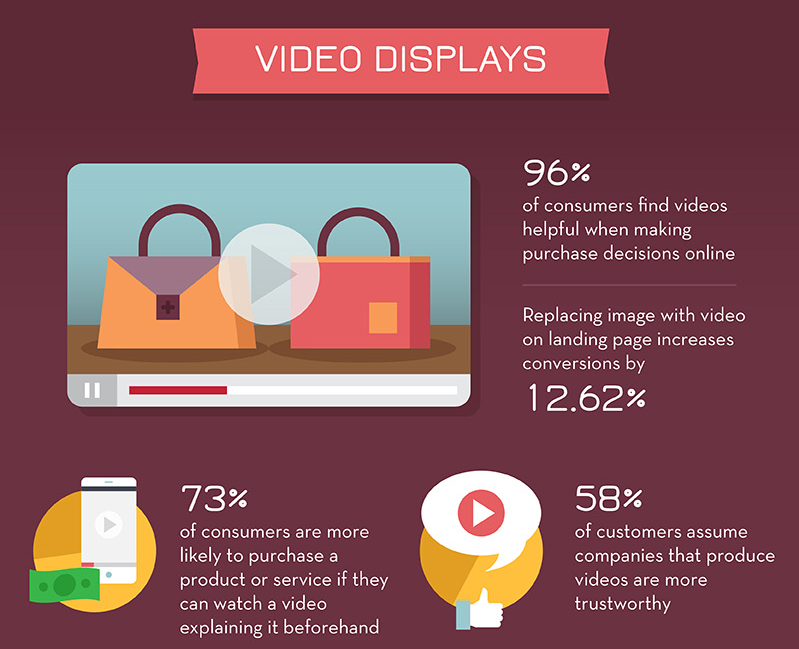 If you’re not convinced, 96% of consumers find videos helpful when making purchase decisions online, and 58% of consumers consider companies that produce video content to be more trustworthy, according to econsultancy. If you’re wondering how humor can help you sell, look at massive brands like Cards Against Humanity, which have become so popular they can make thousands of dollars selling nothing, or Exploding Kittens, the most backed kickstarter of all time. In the end it’s simple. If you have the resources to create a video that will enhance your brand, 73% of consumers say they are more likely to buy your products because of it, so it’s likely worth the effort. It is tempting to force people to sign up before buying so you can nurture them through emails and try to turn them into return shoppers. But really, instead of getting returning customers you just end up missing out on sales. A study conducted by User Interface Engineering showed a 45% more customers made a purchase when they weren’t forced to register. This is because it created a more streamlined checkout, which didn’t give the user time to reconsider their purchase. Popular clothing brand ASOS, was about to convince 50% more new customers to make a purchase when they took off any mention of customer registration. Previously, new customers were told to create an account in order to checkout, but the new design instead just has customers click the continue button. These are the types of changes or implementations you can make to your e-shop to make it easier to use, which is what 76% of visitors to your site want. People want to find what they want quickly, and they don’t want to be disrupted as they go to checkout with things like registration. You have three seconds for your e-shop to load, or else 65% of consumers will get impatient and leave. 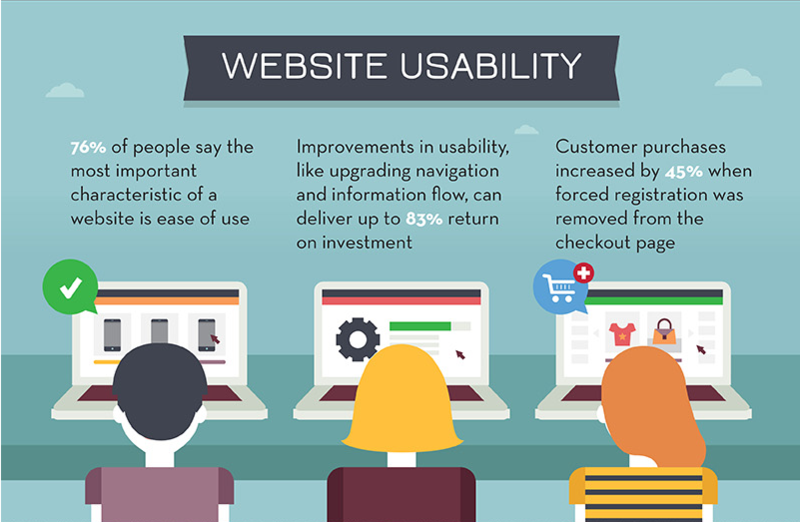 Is your e-shop up to par? If you’re not sure how long it takes for your site to load, there are lots of tools you can use to figure it out. These testing tools return page load analysis to you in a matter of seconds. You can choose to test from different locations or on different browsers, and in each case you are provided a detailed breakdown of load times for different pages and elements. You can easily use all five tools in a matter of minutes, and compare the data from one to the other to see, clearly, where you need to improve. If your page takes longer than three seconds to load, unfortunately ecommerce giant, Amazon, discovered that for every millisecond of delay it cost them 1% in sales. Not only will you need to improve site speed on desktop, but improving speed on mobile is critical as well. 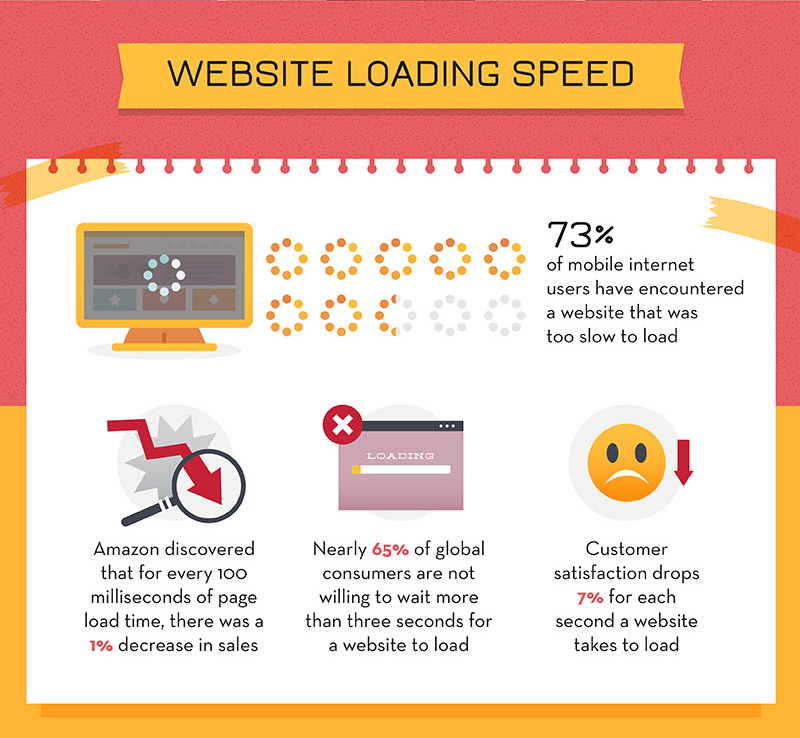 A massive 73% of mobile internet users encountered a website that was too slow to load! In case like that, mobile consumers can’t stick around and you’ve lost that opportunity. Luckily, Google’s Pagespeed Insights offers a breakdown of mobile site speed as well as desktop speed, and the steps above will help for both desktop and mobile performance. If you get someone to the payment page, you’ve already celebrated a few wins. They’ve stuck around, found something they wanted, and moved through the purchase process to the payment page, which means you’re doing something right. Don’t spoil the sale with limited payment options. 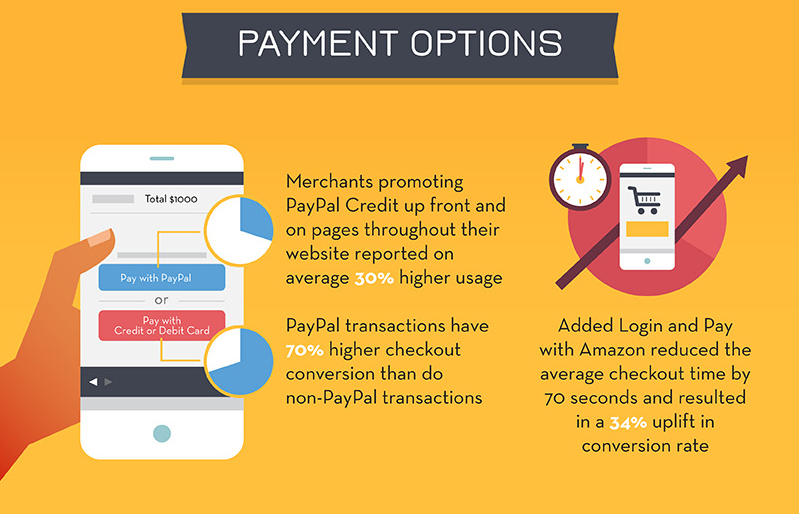 Many people use a credit card to pay online, but PayPal transactions convert 70% more than non PayPal transactions. Again, this comes down to a matter of trust and simplicity. These customers trust PayPal, and prefer the convenience of bypassing shipping and billing information, which is already stored in their PayPal account. Convenience is really key. 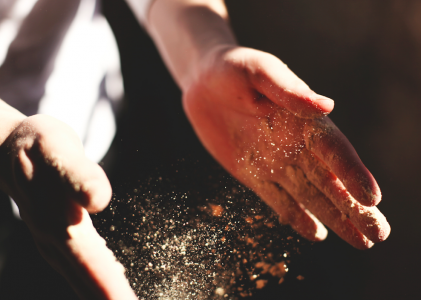 If it’s hard to pay for something, that’s friction, and you want to reduce it as much as possible on your page. For those who sell products on Amazon, the company introduced Login and Pay, which reduces checkout time by 70% for consumers by storing customer information. Vendors that use Login and Pay increased conversion rates by 34% because of this convenience for their customers. These types of trusted and guaranteed payment options encourage sales, and luckily setup is easy. To include PayPal payment options, simply create a Business account through the online payment service and create the payment button on the PayPal website, then copy and paste a short HTML snippet on your website to add a payment button to items in your shop. This process is detailed on PayPal. But before you rush off and add PayPal, understand that there is a transaction fee for everything bought through PayPal. Calculate how much you normally sell in a given month, then increase that number by 70% to estimate how much you could make with PayPal. Then factor in the costs per sale, and see if it makes sense for you. If your biggest seller is a two dollar pen, PayPal may not be the best option. If you don’t feel ready to partner with PayPal, there are other ways to encourage sales, including the following tip. When trying to develop trust with consumers in a short period of time, something as simple as a trust seal can make a world of difference. 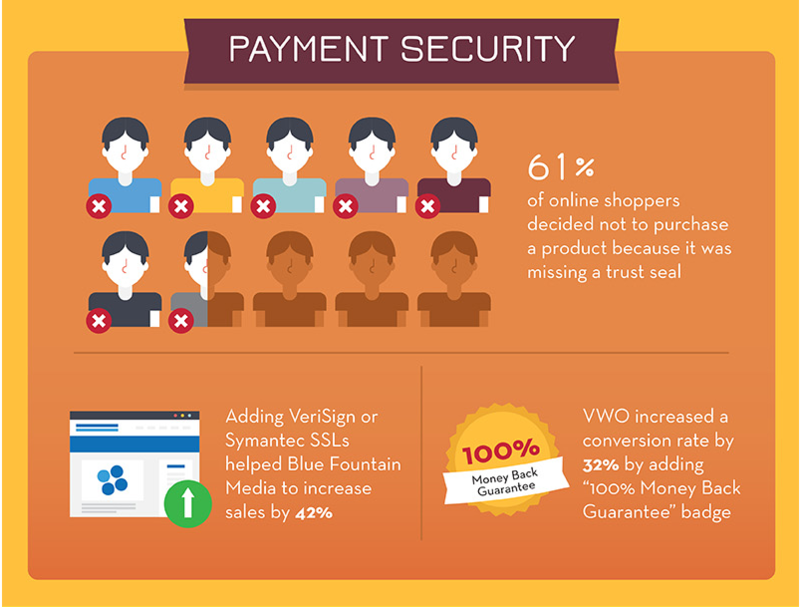 61% of online shoppers did not purchase a product because it was missing a trust seal. So what type of trust seal should you add? There are two ways to go, either you add a recognized security badge or you build your own. If you design your own trust seal, it should convey a message you think will encourage clients to make a purchase, like a free return seal, or a satisfaction guarantee badge. The McAfee Secure seal is free, simply activate the plugin on your wordpress and follow the simple steps to set it up. The PayPal verified seal may not be as common anymore, and may be redundant if you already have a PayPal payment button, but you can get the seal simply by adding code to your webpage, which you can find once you login to PayPal. The Norton Secured badge can also be easily added to your site with a script customized for you. No matter how many trust seals you have, if you surprise your clients with additional fees, they will not buy your your products. Someone who is willing to buy a coffee mug for $15 will not be as willing to pay once they find out shipping is $13. More than half of online shoppers, 56%, presented with surprise fees at checkout abandoned their cart, and of all the reasons to abandon your cart, this is the number one reason according to Shopify. The next reason, at only 37%, was that users were just browsing or shopping around. In 2014, when 4 trillion dollars worth of merchandise was abandoned, according to Business Insider, the main cause was hidden shipping or handling fees. 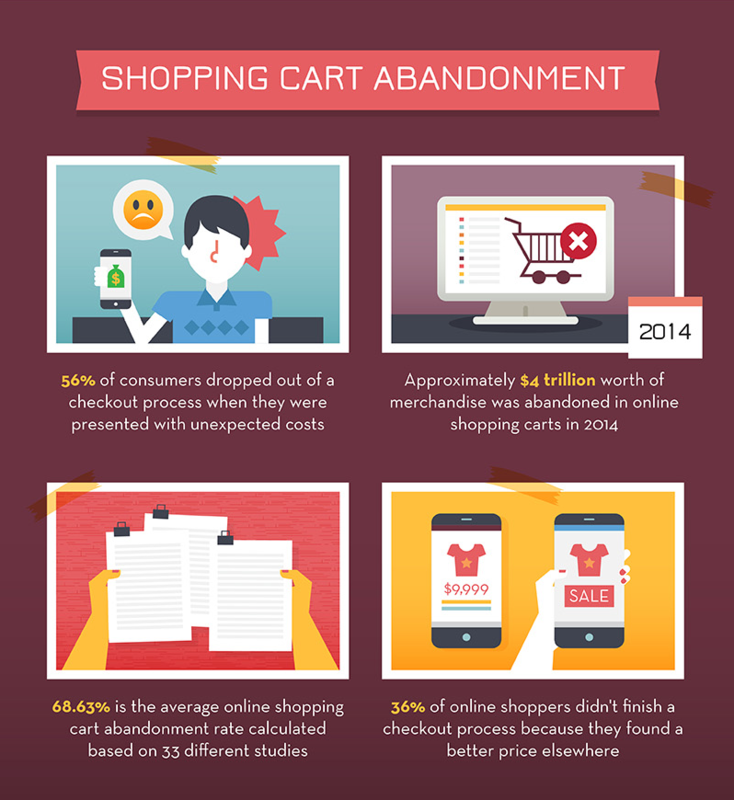 Considering more carts are abandoned than carts converted, with 68.63% being the average cart abandonment rate, that means transparency can greatly help you increase sales, since you are no longer giving people a reason to leave when they get to checkout. Although you may get less people adding products to their cart, upfront shipping fees and additional costs will give users a better experience, and that transparency will help you get more loyal customers. One of the reasons people are reluctant to buy things online, or from your e-shop more specifically, is that they can’t guarantee they’ll like the product when they receive it. What if it doesn’t fit? What if it arrives damaged? What if the quality is poor and not what the consumer expected? When all these scenarios are possible for a shopper, in order to convince them to make a purchase, there must be a return policy. 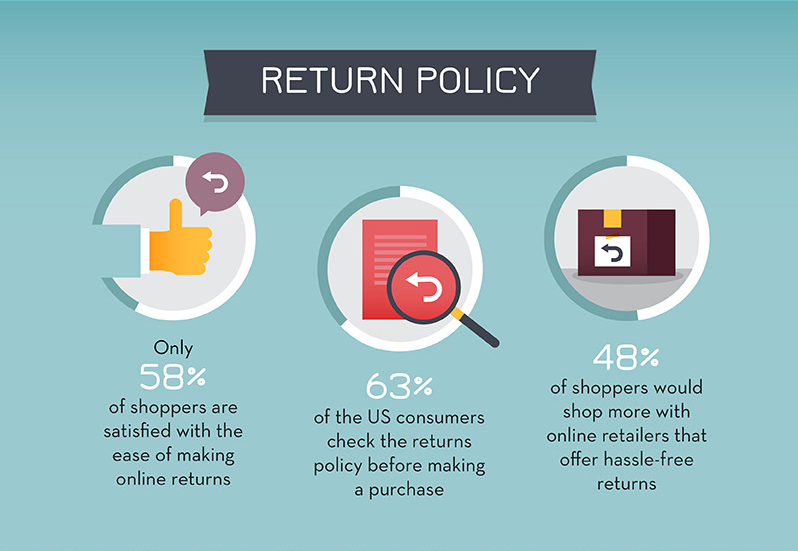 A Consumer Experience Study shared that 63% of users check return policy information before making a purchase. That means if your website doesn’t have clear return information, or if you don’t offer returns or exchanges, you risk losing a sale, or very many sales actually. Free: Users don’t want to pay to return something they were unhappy with. Having already lost their time, and been inconvenienced, asking them to pay for return shipping may cost you return clients. Flexible: 30 days to return an item, with tags and packaging, is standard. If you want to make lifelong fans, you can do what Costco does, and say “We guarantee your satisfaction on every product we sell with a full refund,” and offer refunds to clients who bought plants, forgot to water them, and came back for a refund when they died two years later. Clear: Make sure whatever terms you decide are are clear, so there’s no argument. Convenient: If you can afford it, provide self addresses stickers with prepaid postage to all users so they know where to return their products easily. 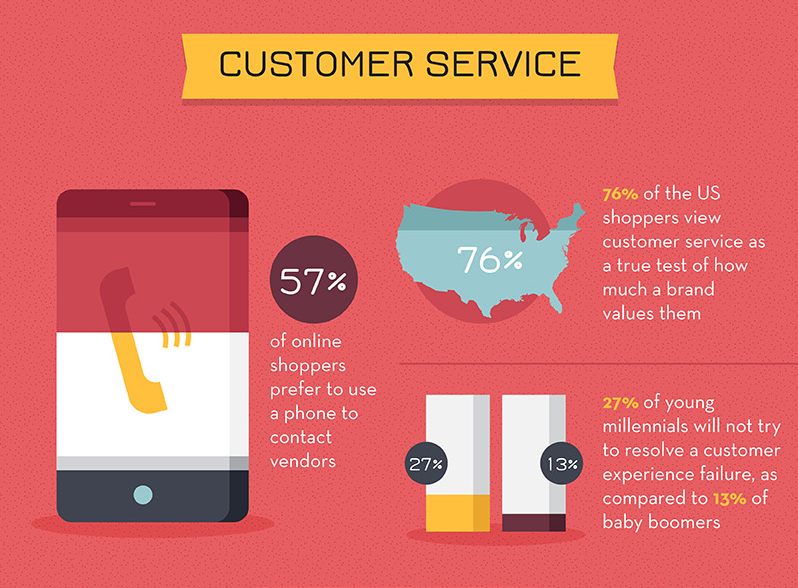 A 2015 Aspect Consumer Experience Survey shared that 76% of consumers say they view customer service as the true test of how much a company values them. Feeling valued isn’t just something nice, it’s a critical element in a consumer’s decision as to whether or not to return to your e-shop. 97% of global consumers say that customer service is very or at least somewhat important in their brand loyalty, according to a 2015 Global State of Multichannel Customer Service Report, which means if you don’t invest enough time or energy in customer support, you could be burning bridges and losing out on potential repeat customers. But why do repeat sales matter anyway? Marketing Metrics: The Definitive Guide to Measuring Marketing Performance, states that when it comes to sales, the likelihood of selling to an existing happy customer is up to 14 times higher than the probability of selling to a new customer. Which means investing in customer service to make sure your clients are happy makes a lot of sense. Beyond just customer loyalty, strong customer support (which can mean answering emails quickly or offering a customer service telephone number, where people answer the phone within a reasonable time frame) is what users come to expect. 90% of consumers now expect a brand or organization to offer a self-service customer support portal, and if you don’t, that means 90% of people will be disappointed when they have an issue. If you need any more reason to allocate more time and budget towards customer service, according to NewVoiceMedia, an estimated $41 billion is lost by U.S. companies alone each year due to poor customer service. As you wonder about ways to enhance customer service, here’s a suggestion: live chat. If customers what immediate response to their questions, which they always do because time is precious, then customer service channels like live chat are appealing for website visitors. Even if a user doesn’t start or engage in conversation, it still provides a better impression of your brand by having the live chat option, because, reportedly, 63% prefer getting back to a website with live chat for repeat purchase, knowing that help is there if needed. A surprising 44 % of online consumers say that having questions answered by a live agent while in the middle of an online purchase is one of the most important features a website can offer. Let me repeat: one of the most important features! That means of the 21 tips we suggest, don’t be so quick to discount live chat as an expense or a nice-to-have-but-probably-won’t-get feature. 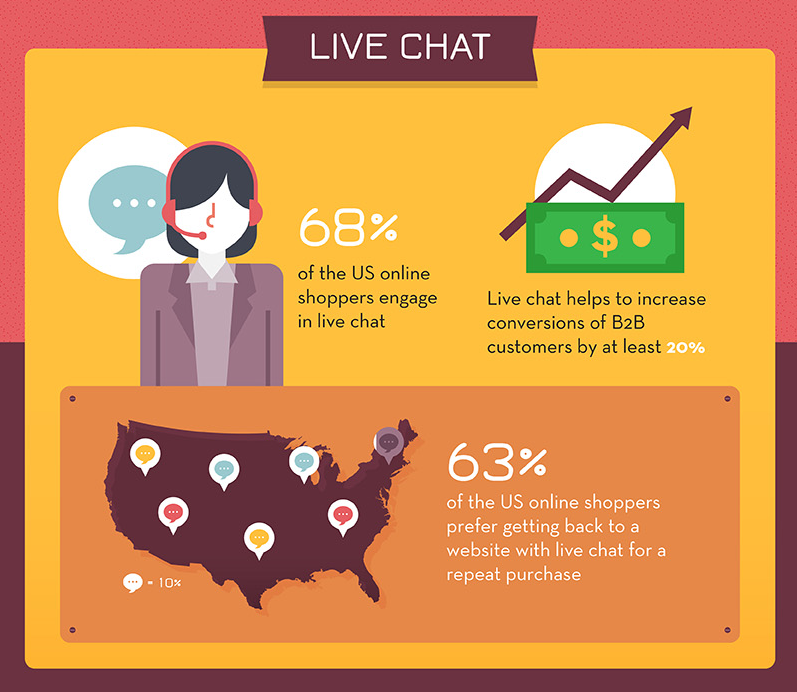 A survey of American online consumers said 68% use live chat, so there’s a majority of people who would want live chat while shopping on your site. All you have to do is set it up and make sure someone is there, live, to answer requests. Some live chat vendors come with a cost, and there is of course the cost of having at least one member of support man the live chat, but you can set up and run live chat free forever, and set up is fast and easy. So if you have the time to invest, it’s well worth it. There are people who love your brand, and who will recommend it to their friends, you just need to tap into that pool of advocates. So if you’re looking for ways to help incentivise happy customers to leave reviews, luckily there’s not much for you to do. Brand advocates recommend because of good experiences (50%) and a desire to help others (37%), and not an incentive to receive freebies (1%). Getting good reviews requires nothing more than your company providing quality products and memorable customer support to create an overall positive experience. Reviews from advocates matter, because 77% of consumers read product reviews before making a purchase, according to econsultancy, so if your brand has reviews people will read them. What kind of reviews are most valuable? A Nielsen study showing that 92% of consumers say they trust recommendations from friends and family above all other forms of advertising. 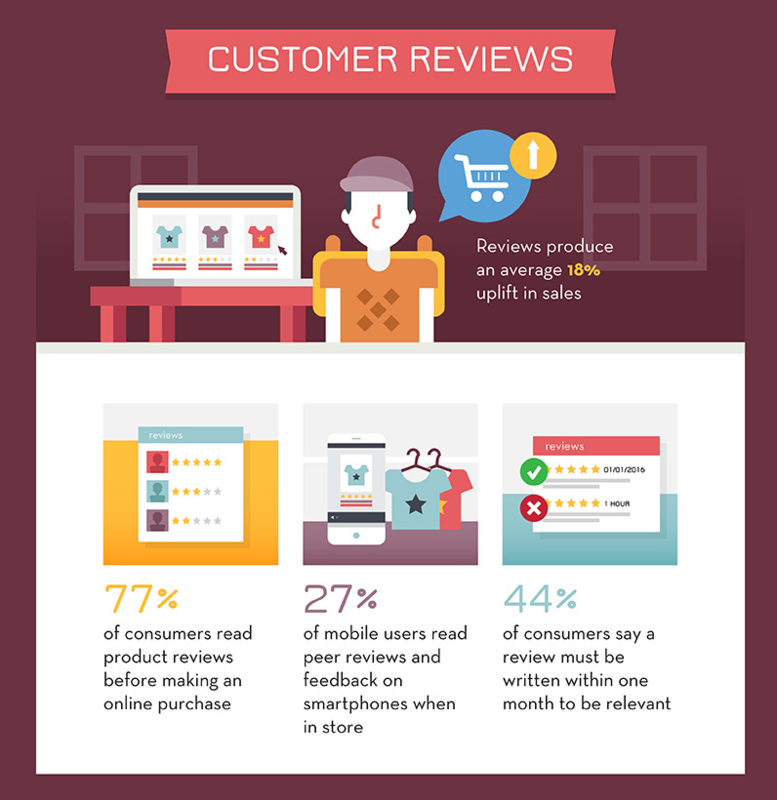 To increase the numbers of reviews on your site, simply ask people to leave a review after they make a purchase. While reviews can be stressful to collect because you can’t control whether they will be positive or negative, testimonials are a way to showcase glowing reviews to prospective clients to increase conversions. In one case, company WikiJob added testimonials to their website homepage and increased conversions by 34%, according to kissmetrics. 1. Find reviews and testimonials that exist online, and ask for permission to share. People may be mentioning you without you even knowing it. If you set up Google Alerts you can be notified whenever your brand name appears online, and with Social Mention you can see when people mention your brand on social media. That way you can easily see when people say anything good or bad about you. And for all those good comments, reach out the the person and turn that praise into a testimonial. Facebook is a great place to collect feedback and testimonials, as is Twitter (although they will be short). If you set up company pages you will invite people to review and submit feedback on these channels which can help you develop testimonials. Directories like Google Places, Yahoo Local, Yelp, Merchant Circle, and CitySearch can also be great places to amass reviews and testimonials. Once you have great quotes from happy customers, you will want to be strategic about placing those testimonials on your site. The best thing to do is showcase them on lead generation pages, meaning the pages of your e-shop where people would actually add products to their cart. In one case, shared by Visual Web Optimizer, a company increased form fill conversions by 50% after adding in a quote from a satisfied customer. Plus this translated to a 54% decrease in cost per lead for their Google Adwords campaigns. 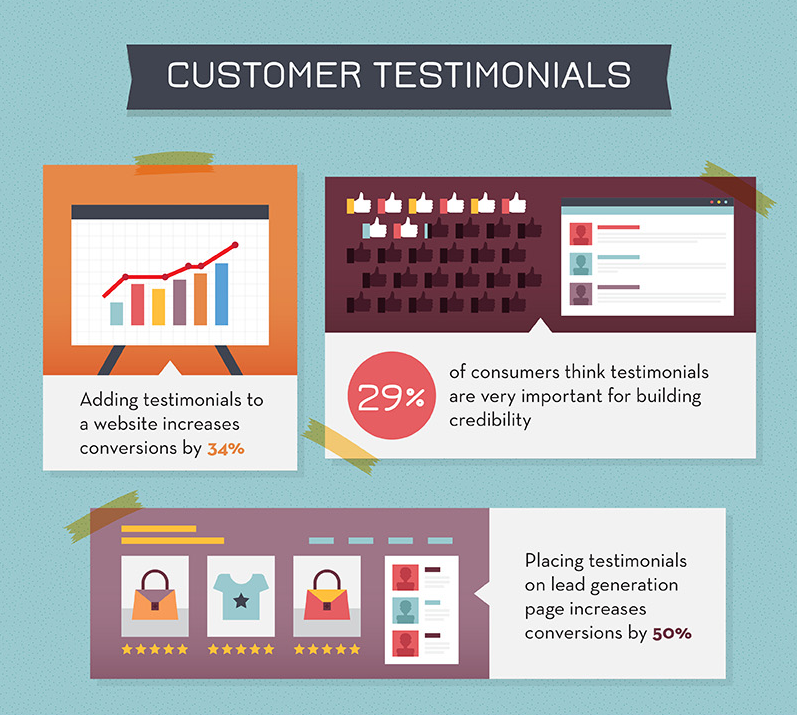 Overall, testimonials were a huge asset in convincing people to make a purchase or convert. 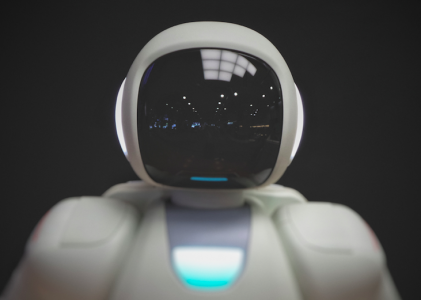 According to a study shared by Rosetta, engaged customers buy 90% more often, spend 60% more per transaction, and are five times more likely to purchase from your brand exclusively in the future. 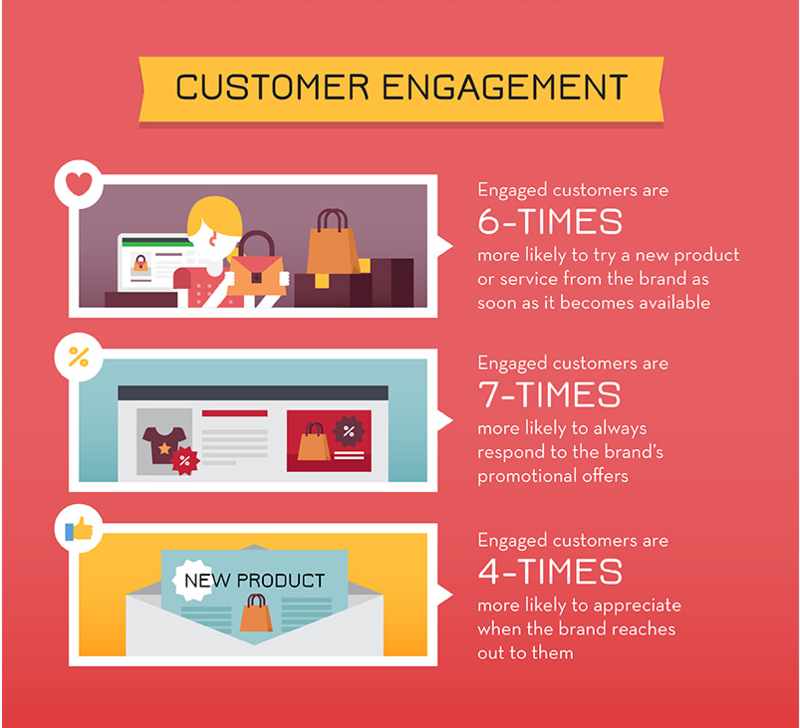 These factors combined mean that engaged customers are three times more valuable to your company. Now that you understand how valuable engaged customers are to your business, the next step is getting your customers engaged. More than 45% of consumers say the opportunity to earn rewards is a primary driver for purchasing from a brand, according to Maritz Motivation Solutions. If you want to hook clients in and get them engaged, one of the most effective ways is to create a loyalty program, where customers can earn points on purchases and receive discounts on orders. A reported 56% of consumers are motivated by collecting points and 55% by product discounts. Giving your clients a space to connect online is key to customer engagement. You can answer questions, update them with new information relating to your business or industry, and you can have discussion with clients. You don’t need anything fancy, you can simply start a Facebook Page or Group and invite customers who already use the social media channel. You’ll get 8x the number of entrants if you run a mobile contest. Great examples include photo tagging contests, where clients are encouraged to take and share a photo of them with your brand’s products, and the entrant with the most likes wins. The engagement boost outweighs the cost of the prize or giveaway. It’s odd to continue to stress the importance of a mobile friendly website in 2016, but it’s especially important for ecommerce. 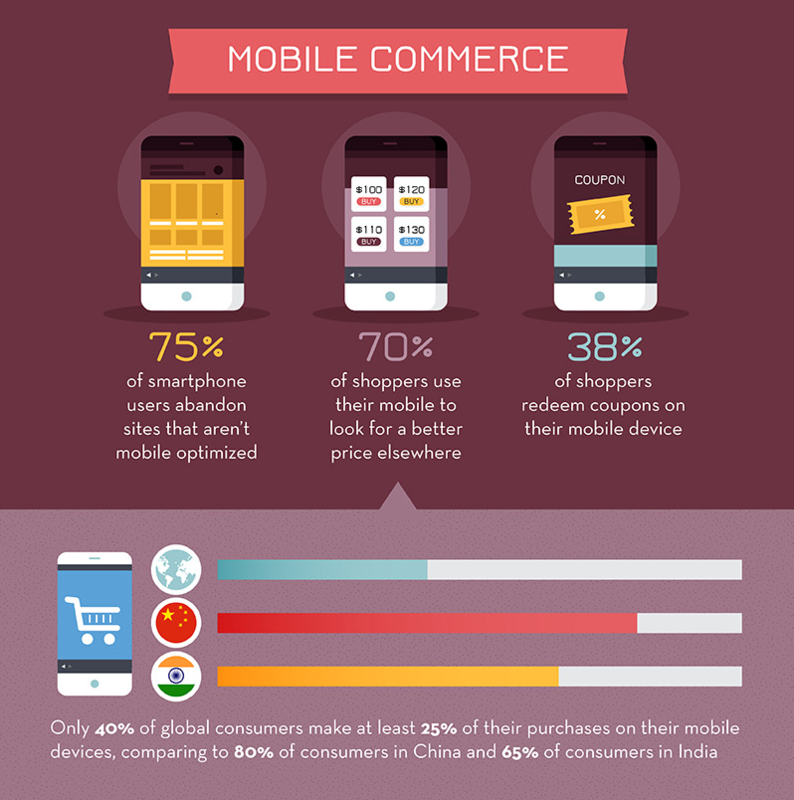 75% of smartphone users abandon sites that aren’t mobile optimized, and when it comes to ecommerce specifically, 40% of global consumers make at least 25% of their purchases on their mobile phone. That means if your e-shop isn’t mobile friendly, you’re losing out on sales, big time. Use a responsive design, so your e-shop will adapt to whatever device a customer is using to provide the most user friendly experience. Make sure all buttons, links, and phone numbers on a page are tap-friendly and the right size on the page. A quick preview of design can help catch glaring errors. Make sure pages aren’t too text heavy. For products, highlight images and avoid long descriptions. Ensure that the items in your header and drop down menus, as well as any form fields, are big enough for people to click and enter information, without zooming in. As long as the experience is easy and intuitive, users will follow through with a purchase, but as soon as something looks off, or doesn’t function properly, you’ve put your mobile sales in jeopardy. Unless you’re selling luxury goods, coupons and discounts are an e-retailer’s best friend, with 68% of consumers strongly believing that digital coupons have a positive impact on a retailer’s brand, according to RetailMeNot. 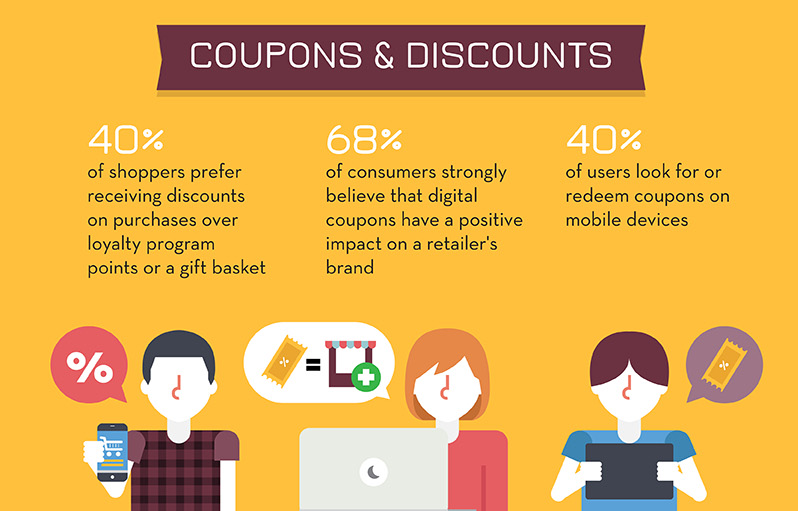 Not only will coupons improve your branding, but 55% of people using coupons on their mobile device actually spend more at checkout! Data from RetailMeNot suggests that 77% of consumers said they spend between US$10 and US$50 more than anticipated when redeeming a mobile coupon, and 17% spend an extra $50 or more. One way to incentivise people to spend more with digital coupons is to offer free shipping or an overall discount if they meet a minimum purchase amount. Another idea is to offer discounts for certain demographics, like students. 78.4% of students “always” or “usually” check for discounts before making their online purchases, according to ID.me, and will be more likely to buy from your retailer if they can get a discount. Set up coupons with online business directories, like Local.com or Valpak, that automatically distribute your coupons to targeted audiences. Create a coupon code for your site and let your guests know with either a pop up or a banner that their is a sale going on. Generate buzz online with a referral coupon, where clients only access the discount code when they refer a new client. Launch a social campaign, where clients who like your business on Facebook can access exclusive coupon codes. If you only do one thing to boost sales for your e-shop, make sure it is to offer free shipping. Earlier you learned that unexpected costs was the main reason e-shoppers abandon their carts, and shipping costs account for most of that abandonment. 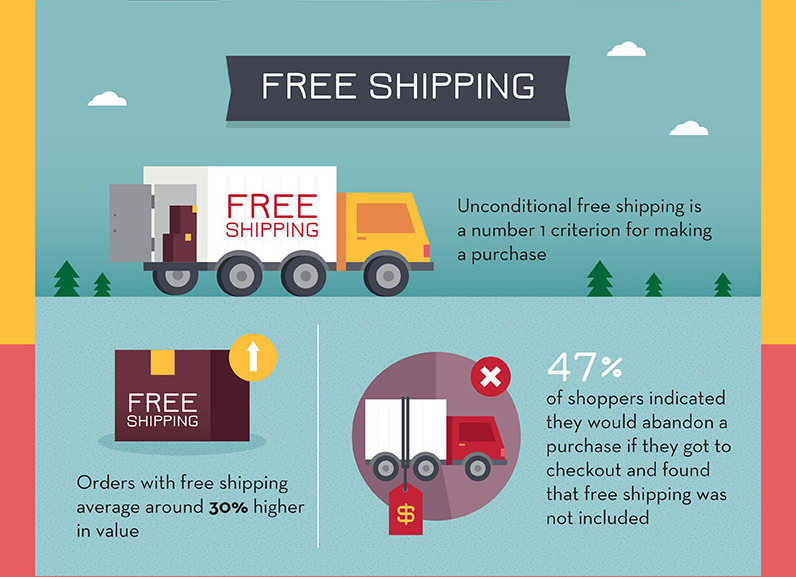 Nearly half of shoppers, 47%, would abandon a purchase if they got to the checkout and found that free shipping was not included. While shipping can be a necessary cost for smaller retailers, the unexpected aspect is what shoppers resent. If you advertise free shipping on your sites, and in small print mention this is only for American residents or shoppers who spent more than $50, this misleads most shoppers who were attracted by the free shipping advert and turned off by the extra shipping costs visible at checkout. Either advertise free shipping and offer unconditional free shipping on all orders, or be very clear with shoppers how much shipping costs are upfront. You may even want to absorb the shipping costs in your product pricing to offer shoppers the satisfaction of free shipping. Customer loyalty programs are one of the best ways to engage with clients. 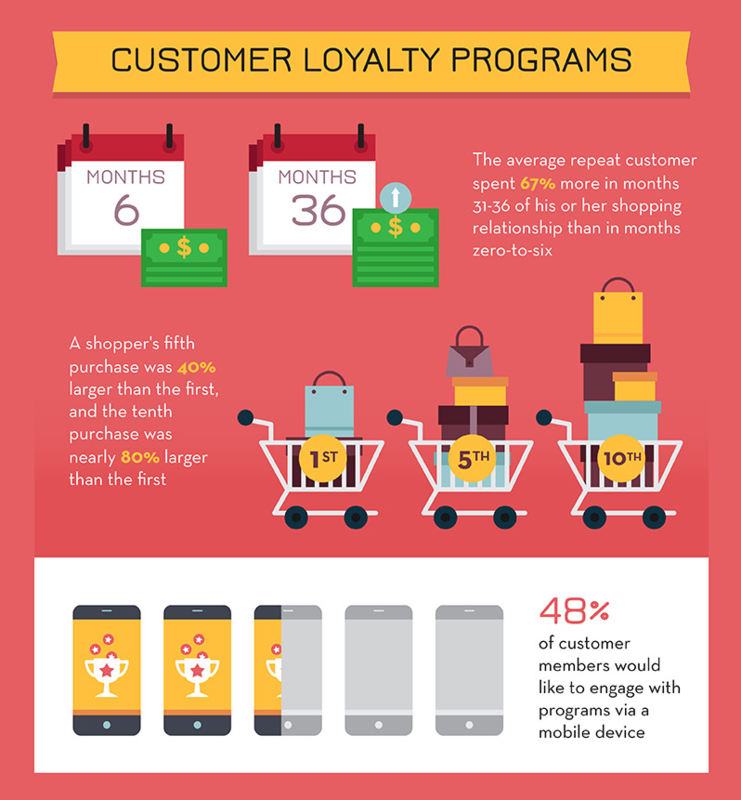 Not only does it encourage loyalty and repeat sales, loyalty programs help shoppers buy more with each purchase. In a report released by Bain and Company entitled, The Value of Online Customer Loyalty, a shopper’s fifth purchase was 40% larger than the first, and then tenth purchase was nearly 80% larger than the first. Essentially, the longer a customer’s relationship with an online retailer, the more they spend. For example, in the apparel industry specifically, the average repeat customer spent 67% more in months 31-36 than in the first six months. Collect data on your customers before launching your loyalty program to more accurately set goals and incentives. Learn how much the average customer spends, and how often they shop then use that information as a benchmark for success. Identify your most loyal customers, the most frequent shoppers or those that have recommended or communicated with your company most, and target them to test out incentives you plan on offering in your loyalty program. Starting social media pages for your company is a no brainer, especially to establish community as mentioned earlier to better engage with customers, but if you’re wondering what to share on these social channels, the answer is simple. 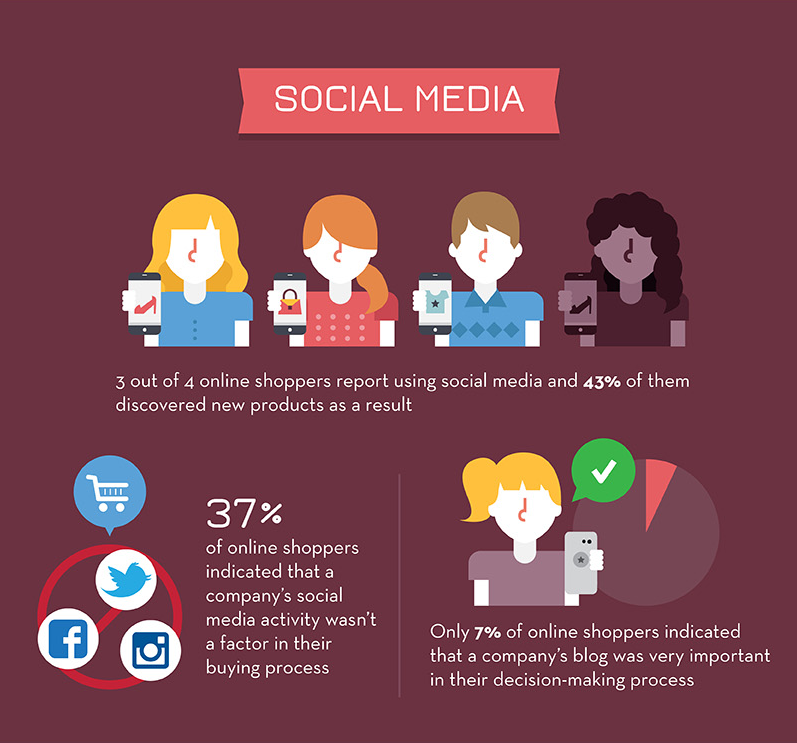 Three out of four online shoppers report using social media and 43% of them discovered new products as a result. Normally companies share blog content on their social media pages, but only 7% of online shoppers consider blog content important in their decision making process, making it much more advantageous to showcase products and new releases. Clients will discover new products and stay up to date with your brand, and by using a community platform like Facebook, for example, you can engage users and get recommendations. 50% of shoppers have made a purchase based on a recommendation through a social media network, and more specifically, 53% of people recommend companies and products on Twitter. Positioning recommendations right next to new product information should encourage clients to buy! When you’re struggling to stand out from your competition, more and more consumers prefer a socially or environmentally conscious company. Corporate social responsibility is a tricky thing to fake. Customers can sense authenticity, and if you are insincere it can reflect negatively on your brand. Unless you are an eco-friendly or making an effort to be socially conscious, it’s not something you should advertise. On the other hand, responsibility can be passive or active. Even if you don’t actively work to advance a social goal, you could be socially conscious in a more passive way by avoiding engaging in socially harmful acts. For example, if you sell cosmetics, you can advertise that you do not test your products on animals. 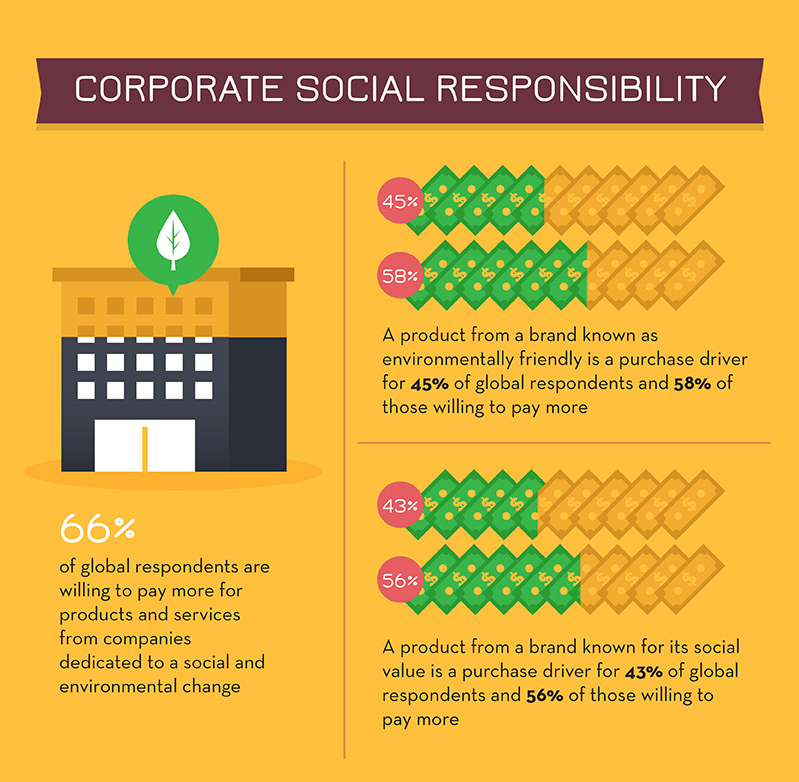 Not only will social and environmental consciousness help convince shoppers to make a purchase from your online store, it has been proven that 66% of customers are willing to pay more for brands dedicated to social or environmental change. Write about the impact or significance of your company on your Homepage or About Us section. Last, but not least, amplify the local aspect of your business to tap into 93% of consumers’ preference for shopping locally. 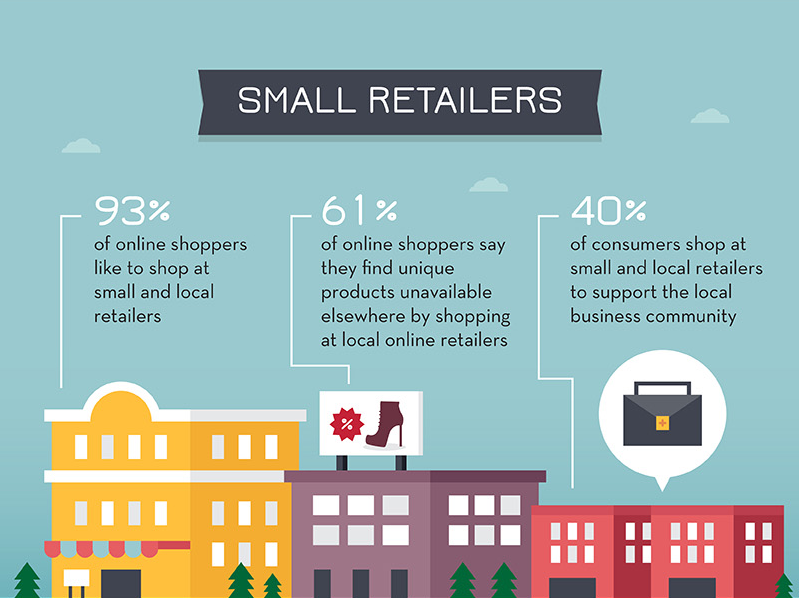 If you offer locally made products, especially those that are unique to your shop, 61% of online shoppers will love those one of a kind products. Another 40% of consumers will be attracted by your local shop because they have a desire to support the local business community. Advertise yourself as a local e-shop in your company About Us page.